A world-renowned snowboard brand has opened for business in Toronto with its first flagship Canadian store and it’s poised for future expansion across the country. The CBRE Toronto Urban Retail Team acted on behalf of the landlord and retailer, under the direction of Jackson Turner, Arlin Markowitz, and Alex Edmison. 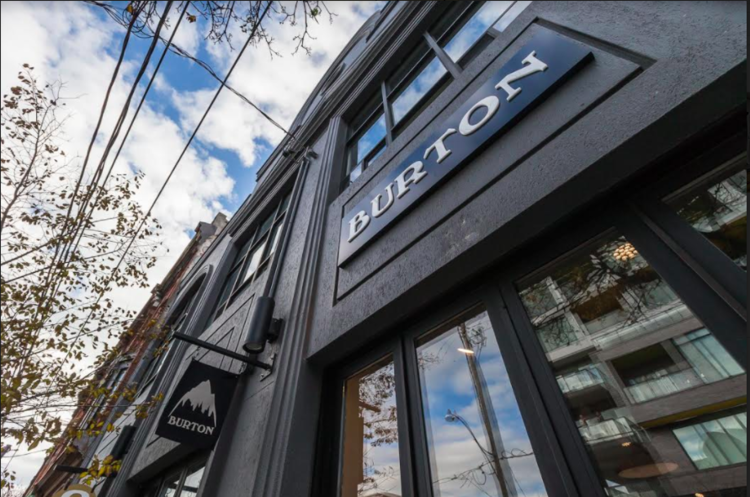 Cody Sturge, marketing lead with Burton Snowboards, says the brand’s first Canadian store, in 1,400 square feet of space at 98 Ossington Avenue, opened in early October. Sturge says the company hopes to expand next into Montreal and then after that possibly British Columbia and Calgary. Everything Burton does started in the mountains. From getting the most out of every journey to chasing snow around the globe, “we’ve charged ahead to innovate and change the way people enjoy the outdoors since day one,” says the company on its website.